With teachers taking more interest in utilizing 3D virtual environments for educational purposes, research is needed to understand how learners perceive and process information within virtual environments (). In this study, the authors sought to determine if learning style or digital literacy predict incidental learning, that is, learning that occurs without learners being instructed to attend to or learn presented information. One hundred and fifty-five education undergraduate students completed a series of tasks in a virtual environment where additional information unrelated to the tasks was present. 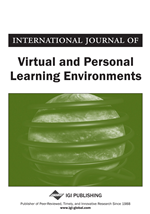 The results indicate that in addition to incidental learning taking place in virtual environments, learning style and digital literacy seem to predict incidental learning in some instances. The results also suggest that information display, in this case visual salience, plays a role in incidental learning as the participants performed better on recalling information that was made more salient. The literature review covers the definitions of four key elements of this study: 1) incidental learning, 2) learning styles, 3) digital literacy, and 4) information display: visual salience.